In 2011 Gucci Mane allegedly pushed Diana Graham out of his car. Now why would Gucci do this you might ask? It seems Miss Graham was not interested in heading to Gucci’s hotel room for fun and games. So the class act that he is dumped her out of his car! 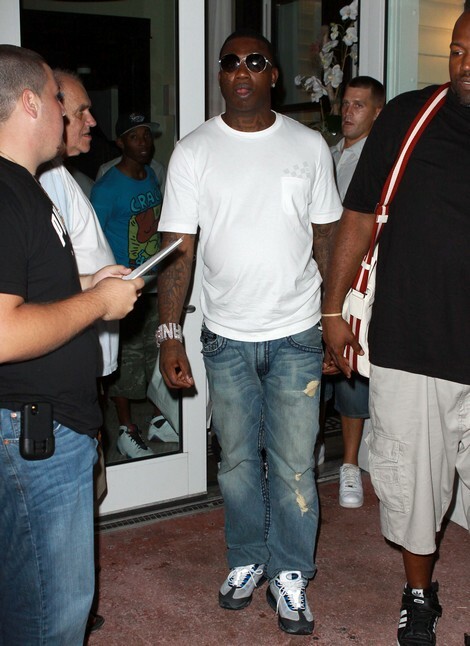 Now Gucci admitted he did it and plead guilty and was subsequently sentenced to the slammer for six months. Diana sued the douche for mental anguish, pain and emotional distress. What a jerk, I hope she gets every penny coming to her.